This has been quite the extraordinary week with the solar eclipse (amazing) on August 21 followed only a few days later by Hurricane Harvey (horrific), which is causing "epic, catastrophic" flooding in Houston, Texas, the 4th most populated city in the US. The path of the hurricane can be viewed here. To emphasize the significance of this natural disaster, which has been called a one in a 500 year flood, major news sites such as The Washington Post, The Wall Street Journal, and The New York Times, have all removed their paywalls, which is also being already referred to as the worst natural disaster to ever hit Texas. You may ask, why worry about what is happening in Texas? First of all, this natural disaster hits "close to home." As an academic, I know many faculty at universities in Texas and to see some closing down, making tough decisions as to what to do with students, and when to reopen, reminds me of Hurricane Sandy back in October 2012 when my daughter was a college freshman and her college (as did many in the affected areas of the Northeast) closed, and she could not even make it back to Amherst because there was no public transportation due to fuel shortages. A niece of mine had just started her freshman year at Tulane University in New Orleans when Hurricane Katrina struck but she had had sufficient warning that she was able to get a flight back to Kansas and that university was closed for an entire semester. And my daughter had spent the summer before her senior year of college as an intern researcher at the marvelous Lunar and Planetary Institute, which is located in Houston. I remember her flying from Sweden where she was visiting me when I had an appointment as a Visiting Professor at the University of Gothenburg and flying then to Houston, which had had some rain, and I was worried at that point about flooding. Now, because of Hurricane Harvey, there are very few passable roads in the surrounding Houston area, flights are halted at both Houston airports (how would crews and workers even make it there? ), hospitals are without power and running water, and folks are being told to shelter in place and to bring axes to their attics so that they can break through attics to the rooftops to be rescued. 911 operators are overwhelmed with calls. There are many questions being raised as, for example, why was Houston not evacuated? And the relatively new FEMA Director is saying that recovery from the deadly Harvey disaster "could take years." The last time I was in Texas was last May, when the NSF-funded Workshop on Disrupting Illicit Supply Networks, took place at the University of Texas Austin. It was a fascinating workshop with a focus on human trafficking with very dedicated researchers and practitioners in attendance. Since Hurricane Harvey struck, I have sent messages to operations research colleagues at Texas A&M University, UTAustin, and Rice University, which is in Houston, and, although I have not heard back (yet) from them, I do hope that they are in a safe place. If you recall Hurricane Katrina, which was the costliest natural disaster, and occurred in August 2005 (Superstorm Sandy was the second costliest one in the US), the Annual INFORMS Conference (which is the conference of my major professional society) was supposed to take place that Fall in New Orleans - the conference did take place but was moved to San Francisco that November. This year, our INFORMS Conference is supposed to take place in Houston in October! Time will tell but, in the meantime, we have all those dealing and struggling with Hurricane Harvey in our hearts and prayers. Houston, not only because of its size is so crucial to the US, but it is also an oil and gas hub. Hence, there could be major economic ramifications, and perhaps even environmental ones due to the destruction by Hurricane Harvey. And, it was the primary residence of the Isenberg family (Gene Isenberg was the former CEO of Nabors Industries) and our School of Management at UMass Amherst bears his name. I do a lot of work in the disaster research area and also teach a course on humanitarian logistics and in recent papers we have focused on, among other topics, issues of coordination post disasters of relief agencies using game theory. 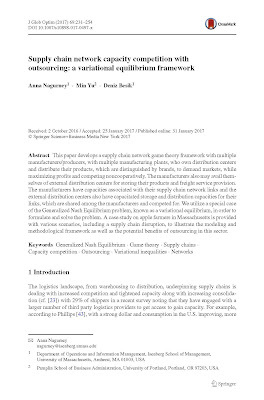 A paper of ours on the topic is: A Generalized Nash Equilibrium Network Model for Post-Disaster Humanitarian Relief, Anna Nagurney, Emilio Alvarez Flores, and Ceren Soylu, Transportation Research E 95: (2016), pp 1-18. For a general audience I wrote an article on the topic for The Conversation: How disaster relief efforts could be improved with game theory. Also recently, we published an article on the importance of communications in emergencies: FirstNet for emergency communications: 6 questions answered. And my most recent co-edited book, with Ilias S. Kotsireas and Panos M. Pardalos, which includes very timely papers, even on evacuation networks, is: Dynamics of Disasters; Key Concepts, Models, Algorithms, and Insights. Thinking of all those in Texas suffering through this natural disaster and the rains are to continue for several more days! 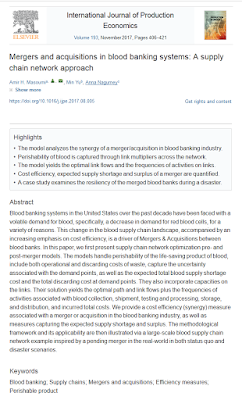 and Mergers and Acquisitions in Blood Banking Systems: A Supply Chain Network Approach, Amir H. Masoumi, Min Yu, and Anna Nagurney, which was published in the November issue of the International Journal of Production Economics (IJPE). There has been much going on in the blood services industry in the United States and in January I had an article on the topic published in The Conversation: Uncertainty in Blood Supply Chains Creating Challenges for the Industry, which was reprinted in many news outlets. 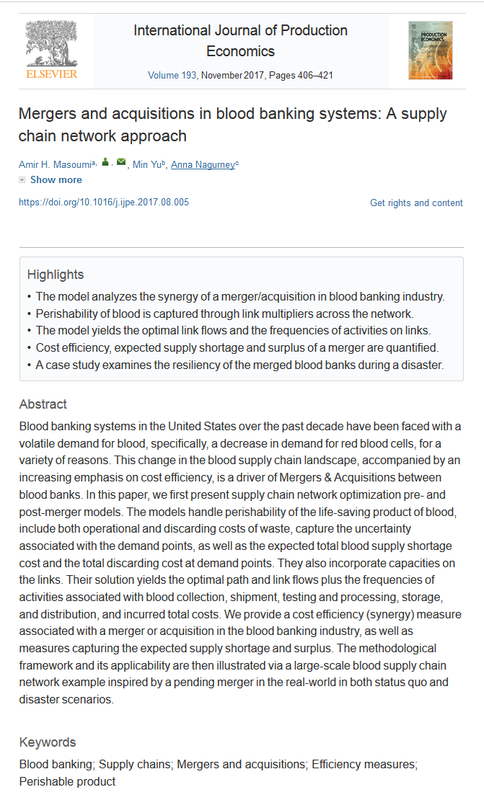 Our IJPE article provides not only a new blood supply chain network model that incorporates frequencies of activities such as collection, testing, and distribution, but it also introduces three synergy measures to determine whether or not a merger or acquisition in this industry would be effective. The case study examines a recent pending merger uner both status quo and disaster scenarios. The IJPE article is already garnering attention and was featured in a news post at the Pamplin School of Business at the University of Portland, where one of my co-authors, Professor Min Yu, is a faculty member. 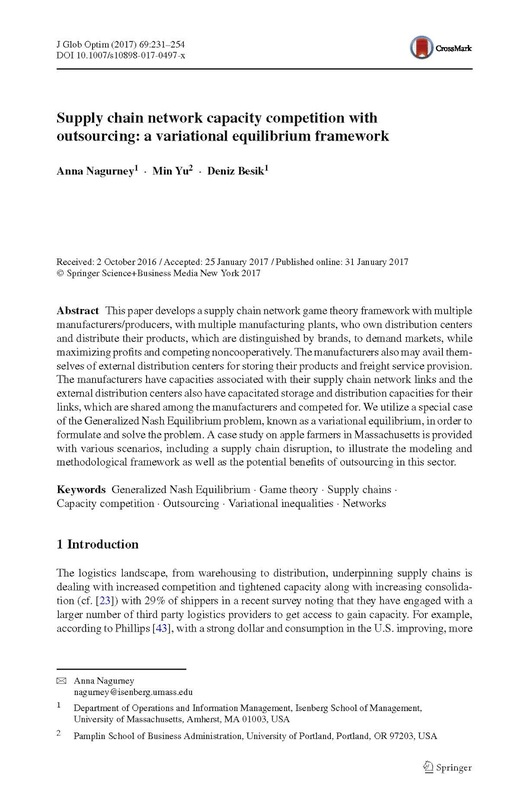 Below is a photo of the three authors of this paper, with the lead author being Professor Amir H. Masoumi of the School of Business at Manhattan College. Both Dr. Masoumi and Dr. Yu are Isenberg School of Management UMass Amherst PhD alums (and they were also my doctoral students, with whom I continue to collaborate through the Supernetwork Center). And, I am very excited that I will be delivering a semiplenary talk: Blood Supply Chains: Challenges for the Industry and How Operations Research Can Help at the International Conference on Operations Research in Berlin, Germany, September 6-8, 2017. It is an honor to be on the list of semiplenary speakers at this conference, and great to see several friends on the list! 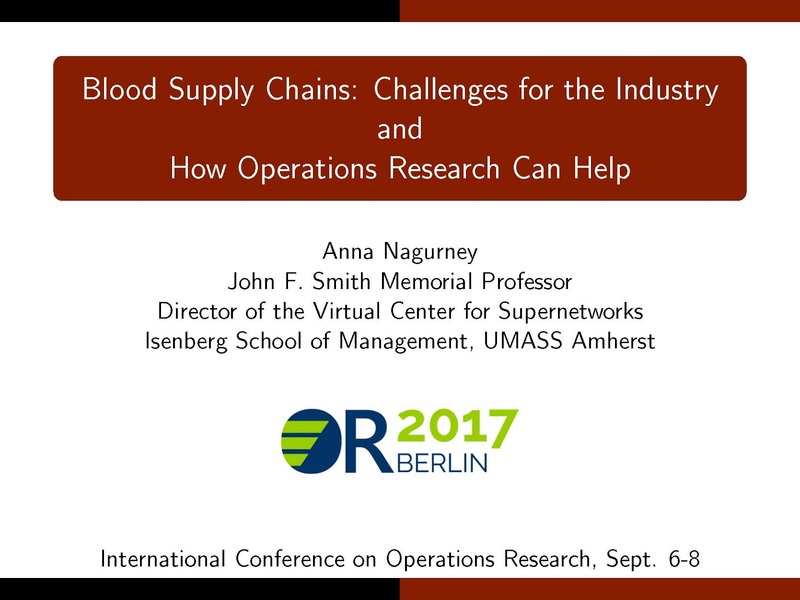 I have been hard at work on my conference presentation, which will describe the latest on blood supply chains from network optimization models to game theory models since this healthcare sector is faced with increasing competition. Hope you can make it to the conference and, if not, I will be posting my presentation closer to the conference date. The past several months, I have been a Summer Fellow at the Radcliffe Institute for Advanced Study (RIAS) at Harvard University. In 2005-2006, I had been a Fellow at RIAS, and previous Fellows can apply to return for the summer. When I became aware of such an opportunity, I applied, and was thrilled to be selected as a Summer Fellow. Last year I was a Visiting Fellow at All Souls College at Oxford University, and for 4 summers prior, I had spent time as a Visiting Professor at the School of Business, Economics and Law at the University of Gothenburg in Sweden. I believe that, as an academic, one should put oneself in new surroundings to garner inspiration from. This helps in terms of research and personal growth, which one can then utilize even in teaching. 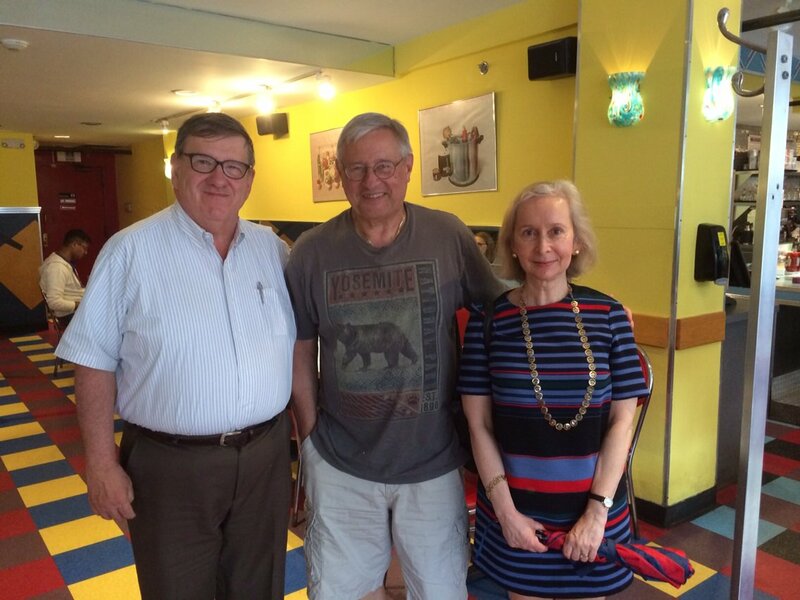 I thought it would be interesting to head back to Cambridge, Massachusetts and to explore another intellectual center. Since during the year I am based at UMass Amherst this made for a much easier move than the past couple of summers. Remarkably, although Amherst is physically only about 90 minutes away from Cambridge it is very different since it is quite rural. Living this summer at 83 Brattle Street, which is only two blocks from Harvard Square, as we had back in 2005-2006, made for a 5 minute walk to Radcliffe. The Fellows are now housed in beautiful Byerly Hall in the Radcliffe Yard. 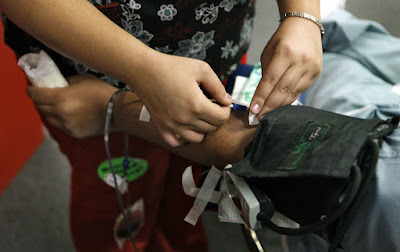 The research projects that I was focusing on this summer included developing and solving game theory models for disaster relief and blood supply chains. With a corner office in Byerly Hall and with a view of a garden and fountain, I could not help but be inspired. I had asked for a standing desk, and loved working at it, equipped in the morning with a latte from a neighboring cafe. Immediately I felt welcome, by meeting other Fellows over the years, and seeing staff that had been here when I was at RIAS in 2005-2006. I enjoyed conversations with a novelist, physicists, a biochemist, applied mathematicians, and anthropologists, to name just a few of the disciplines represented. RIAS, being at Harvard, was also a magnet for many visitors, and I was delighted to be able to have my doctoral students visit, and to get together with other colleagues at Harvard and former students from UMass Amherst as well, and even relatives, with Harvard faculty included. Radcliffe provided a peaceful, beautiful environment and I am so grateful that when I needed a room with a landline for a radio interview, one was found for me. It was a pleasure being interviewed for the Dr. Matt Townsend Show based on my research on critical infrastructure. The lunches that the Fellows indulged in at RIAS helped to fortify us as did the conversations and the various seminars. Since arriving in early June, I managed to prepare (and they were all delivered) 7 different talks, some of which I have posted, including one on June 21st at Radcliffe. 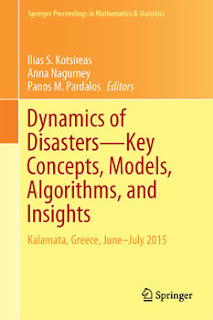 We also started the process of editing of the new Dynamics of Disasters volume with Ilias S. Kotsireas and Panos M. Pardalos, based on the conference that we co-organized and that took place in early July in Greece. I also completed three papers, which were submitted for publication, and revised two others. The friendliness of the administrators and staff at Radcliffe and the surrounding community added to the wonderful experience. The research continues and support by RIAS is being gratefully acknowledged. RIAS, with its nurturing of creativity, scholarship, and interdisciplinary research, will always be a second home for me and for this I am extremely thankful.